This reader provided the basis for reading groups in 21 cities and four countries during the fall and winter of 2015. The history of the communist movement, in the twentieth century, is also a history of women. Many women stood on the movement’s front lines. They struck in the factories, demonstrated in the streets, and died on the barricades. Revolutionary women fought under both the red flag and the black one. They partook of the movement’s few victories and suffered under its massive and in the end overwhelming defeats. Yet women’s participation in the communist movement also raised certain questions. Or else, perhaps more accurately, their participation provided many different answers to a question that remained frustratingly undefined. This question was called, rather vaguely, the “woman question,” and it concerned the “role” of women in social life and in struggle. Revolutionary women—who were among the communist movement’s most prominent theorists, generating texts on every line of revolutionary inquiry—posed and answered this question in different ways. This reader examines revolutionary debates around the “woman question” (and we include both men and women in this history, since the former also played a role in these debates). Towards that end, this volume is organized, loosely, into two parts. 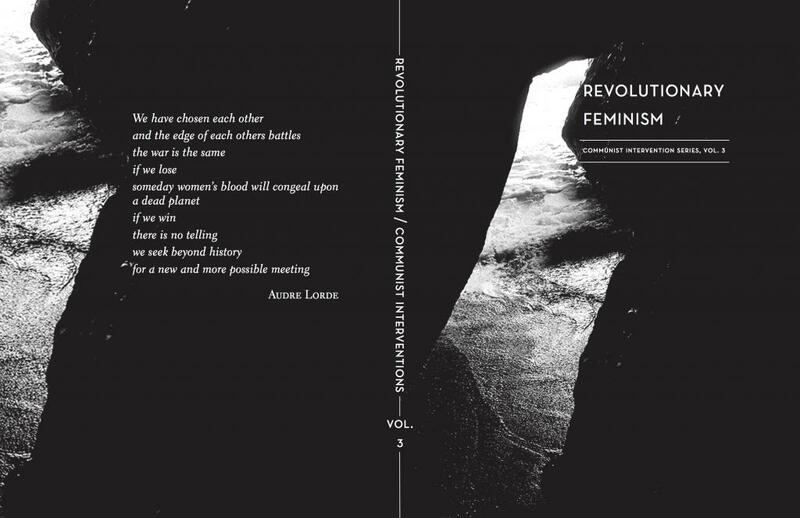 The first goes through the history of revolutionary feminism. It begins with a selection from Friedrich Engels’ text on the origins of the family. This text is included at the start, since it is both referenced and criticized by so many of the texts that follow. We then continue through the first half of the twentieth-century— looking at socialist, anarchist and communist perspectives—before moving on to the radical feminist critiques of the New Left. The second part of the reader then stops moving forward in time, to linger on some of the key debates of the 1960s and ’70s. To return to these texts, today, is clearly of great importance. Many of the gains of 1960s and 70s mainstream feminism have stagnated. Visible feminism today is largely bifurcated between esoteric academic cultural critique and neoliberal corporate sloganeering. A certain form of feminism has become de rigueur among liberals, yet the lives of many women and queer people have seen little material improvement. This lack of improvement comes, moreover, during a time of massive transformations in social life. Women must completely discover their own possibilities—which are neither mending socks nor becoming captains of ocean-going ships. Better still, we may wish to do these things, but these now cannot be located anywhere but in the history of capital.